The XB-19 was the largest aircraft produced for the USAAF until 1946 when the XB-36 first flew. 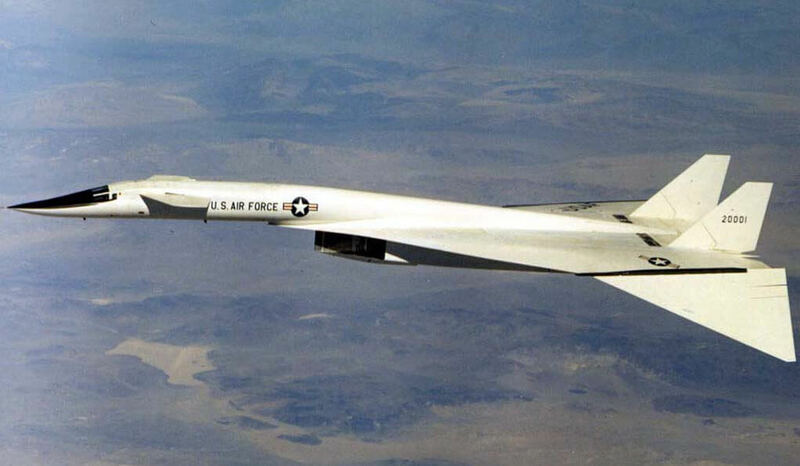 It was intended to test construction and design techniques for very large aircraft, but was effectively obsolete long before its first flight. 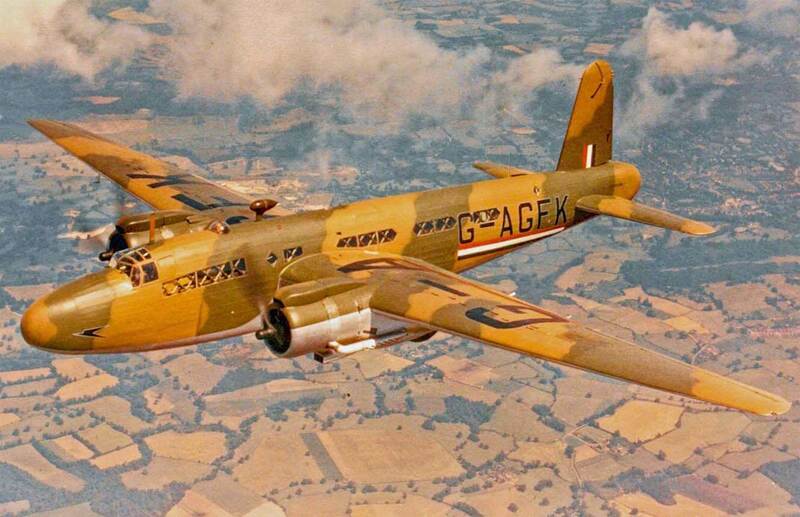 The USAAF persevered with the prototype which finally flew in June 1941, three years after the contract had been awarded. 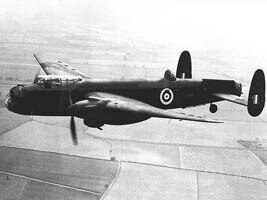 The single example flew until 1946 when it was scrapped. 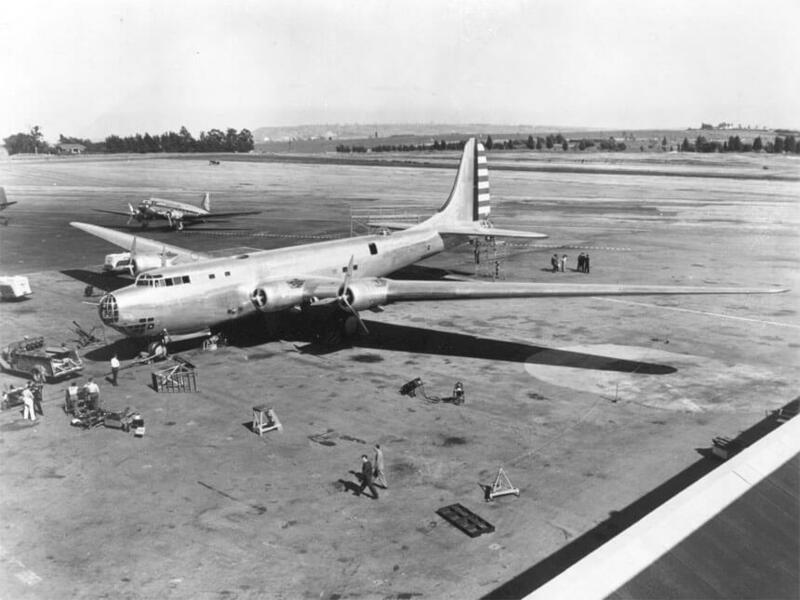 This title contains the flight manual for the sole XB-19, plus a collection of 26 interior and exterior photos of the aircraft. The file has been scanned from the original manual and retains any colour pages. 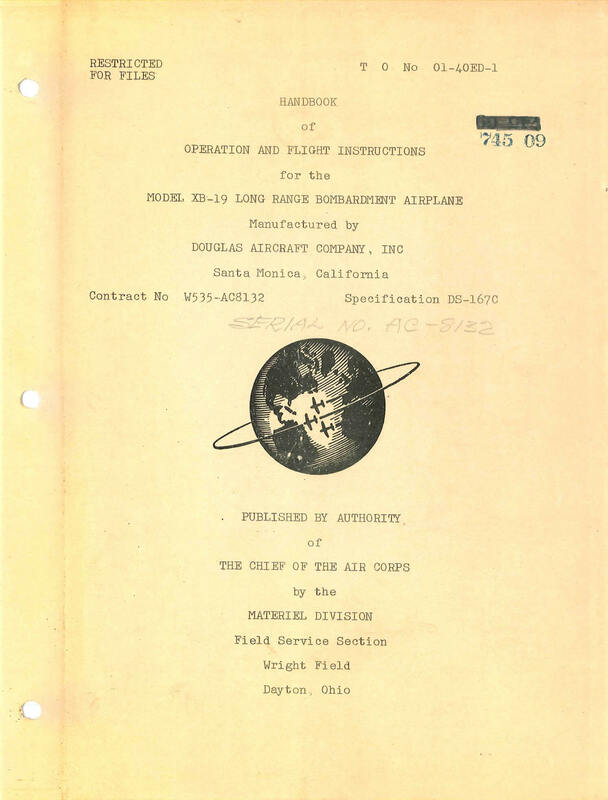 USAAF Handbook of Operation and Flight Instructions for the Douglas XB-19, T.O No 01-40ED-1, undated with approx. 114 pages. Collection of 26 interior and exterior photos of the XB-19.